TESTIMONIALS - from online sites: Facebook, Google, Thumbtack, YELP, YP, direct e-mails, etc. I went to Dr. Stuart because I had been told my kidneys were failing and I was referred to a kidney specialist, whose office is next door to dialysis. I could see what they planned, even though they expected me to wait 3 months to be seen, and I was given no input on things to do that could improve my situation, except to drink water. She gave me hope rather than blame. She helped me fine tune what I'd already started, rather than tell me how wrong I was. Dr S is amazing. I thought I was eating healthy only to learn I was eating completely incorrect. I have had continuous sinus infection and skin rash for 3 years. In three short days of transitioning onto the new foods, my energy has improved and my symptoms are disappearing. I highly recommend her. She is extremely knowledgeable, kind and giving. I am grateful for her healing abilities. 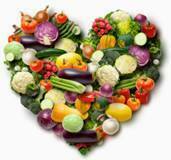 BH - on FB page -"Natural Optimum Wellness". A Angela -Facebook "Natural Optimum Wellness" page. I just wanted to let you know that I have followed almost all of your advice & I feel absolutely amazing! I have been able to go to the bathroom everyday, that has not happened, ever, that I can remember. I've also lost a few lbs and my hair loss has even slowed to the point where I'm not completely freaking out. I'm getting better!!! My boyfriend Jack has even been on my diet with me and he is loosing weight and feeling better as well. Turns out, we are the same blood type! Has anyone ever heard that you should eat according to your blood type? Well I went to see a naturopath doc & she advised me to do this. I was experiencing some mild health problems: hair loss, weight gain/couldn't loose weight, stomach issues after every meal, just to name a few. It's been 10 days on this blood type diet and I'm amazed at my results. All of my symptoms have been reversed! Diet is everything, it's true. I was eating healthy the whole time but eating the wrong healthy foods for my body. I feel so much better!! I've even lost a few lbs. For those of you looking to change your health naturally this might be something to look into!! Dr. Stuart is a true healer. I have never experienced anything like her intuitive nature and profound wisdom. She will truly help you advance tremendously on your path to healing..
"Dr Sarai saved me when the MD's only wanted to give me mega drugs unrelated to my problems I was not crazy just not feeling well fibromyalgia, pain in abdomen, forgetful, falling down, itchy skin and nausea. A few visits with Dr Sarai and following her compassionate guidance I am much better. ALL GONE with her helping me know cause and treat that to heal me." Posted online, don't recall web page. "I enjoyed my consultation with Dr. Stuart. 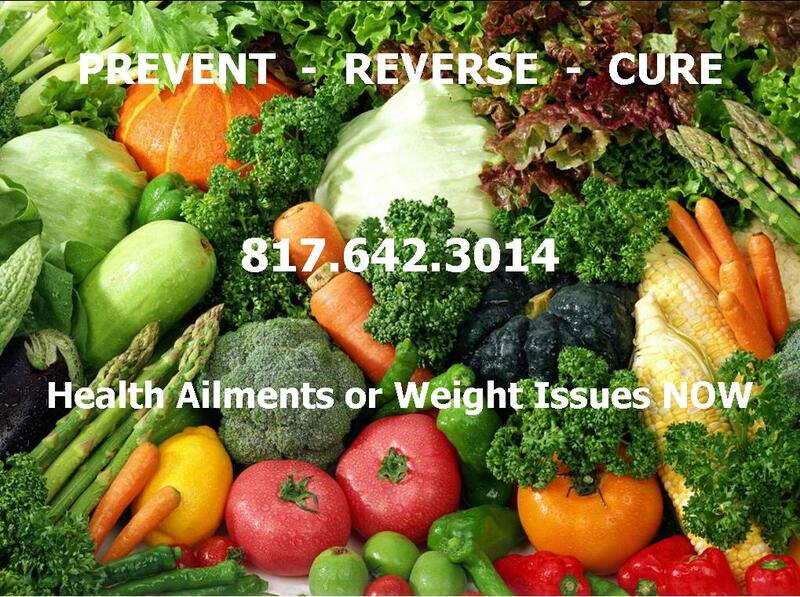 She is very knowledgeable about nutrition." "A classmate was talking about her colonics experience, which was new to me. It sounded like I needed one, so I looked up colon hydrotherapy and found Dr. Stuart. This visit turned out to be more than just a colonic and had a positive impact on my life down the road in so many ways! This was back in maybe 2001? when the term "organic" was unheard of. Dr. Stuart was a pioneer in Texas, certainly ahead of the times in this state. I went in for a colonic, but I walked out with valuable knowledge regarding health and diet beyond what any conventional class or weight loss center had to offer. Along with a light and cool feeling body of course, that's what a colonic does to you. Everything she taught me about food, diet, and health, made perfect sense. Before her, I did not care about my diet or my weight. I was skinny and 19. However, my diet affected my complexion. Eventually, I moved away to college and didn't see her anymore. Every now and then I would look her up to see how she's doing. I moved back to town and so glad to see that she has returned to Texas! Anyway, over the years, my complexion cleared up. 14 yrs later, and I'm still about the same weight I was when I was in high school. If it wasn't for the knowledge she gave me, I think I would be overweight, pimply, tired, with health issues, and on medication. Even though this was just health and diet, diet is a lifestyle. And it has influenced other areas of my life in a way I am so grateful for. I'm not sure how to explain it, but it's like eating clean un-clouds the lens to your perception of your world, in which you didn't realize was cloudy before. Cleanse your body, cleanse your mind, and if you let it, it can assist in cleansing the spirit. I'm not sure how else to put in words how grateful I am to have met her. It planted a seed for my own personal and spiritual journey." Thanks, Dr. Stuart! "A friend told me to go to Dr Suzanne Joy Stuart she could help me get better. My friend said that she went to see Dr Stuart for colonics and nutrition guidance helped her get well and rid her of fibroids and other problems. I was overweight and tired all the time and losing hair and feeling lousy so I called Dr Stuart. She actually spoke to me on the phone before I scheduled colonic appointments and she was very helpful, kind and even offered a few helpful answers before I set my appointment. This was about three weeks ago since I went to see Dr Stuart and I also had a nutrition appointment to help me eat better. Now I feel much much better. I sleep better lost 13 pounds and sinus doesn't bother me and even some of the pains I had are gone. "She was very kind. I enjoyed my experience and am looking forward to another appointment. She recommended things she thought would help me specifically and taught me new things that could help improve my overall life." Rebecca P.
NATUROPATHY - NUTRITIONIST - COLONIC"
12 years ago, a classmate shared her colonic experience. I had never heard of it before. She said that you're supposed to have a BM at least daily. I thought to myself, "oh, I don't. Hmm, maybe I should try colonic irrigation." I went through the phone book and decided to make an appointment with Dr. Suzanne Joy Stuart. This was the first time since 5 yrs old that I went to visit a doctor. Who knew what a big difference this visit was going to have on my life. The information that Dr. Stuart shared with me was new to me, and beyond what mainstream society was aware of at the time, but it made perfect sense. I was glad I had met such a caring and informative doctor. I did not realize how unhealthy I was, until one morning I woke up feeling a major difference in my being. In high school, I was always thin and didn't believe it was possible for me to get fat. My pant size was 5-7. Food was food. It didn't matter what I ate as long as it was good and made me full. Though, I did have frequent embarrassing blemishes. My diet consisted of processed packaged foods, frozen dinners, hamburger helper, ramen noodles, cookies, etc. If cookies were all we had, that was all I ate all day. I was able to follow some of Dr. Stuart's recommendations. But even a small change at the time made a difference in how I felt physically. I specifically remember waking up one morning feeling light and energized and thought "hey, I used to wake up like this as a kid!" Whereas before, I thought it was normal to wake up feeling groggy, heavy-headed, can barely get out of bed. I knew then what my dream ideal diet would one day be, even if I couldn't completely do it at the time. Today, I'm still gradually getting there, but it is worth the change. And the food is still magnificently delicious and refreshing. Only challenge is that it takes time and effort. Anyway, I think this says enough. "Dr. Stuart is a blessing. I was dealing with MRSA. I was frustrated and depress, but thank God for prayer and His healing power, I was led to Dr. Stuart. She has sveral years of experience and very knowledgable. She taught me how to eat right. I lost 30 lbs and have kept it off. My intention was to get well not to slim down. The weight loss was a added bonus. I am healthier and feel better." 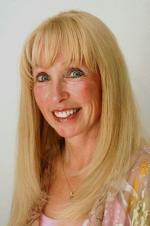 Tiffany T.
"Since August 10, 1991, I've been calling upon Dr Stuart mostly for massage therapy. Over the course of time, expediency, and when she was practicing in Colorado, I've used other masseuses and masseurs, but no one I've run across can beat her technique, her attention to detail, her knowledge of the art. I would, and will recommend anyone, anywhere to contact her. I've also asked her advice on other subjects, such as foods that are good, and not so good for my blood type, and that information, too, has made a difference in my life, especially since I've achieved senior citizen status." Kent F.
"I highly recommend Dr. Stuart to anyone interested in their health and well being. She shares a vast knowledge with us that makes sense for daily info. Her newsletters and updates are always very informative and useful. She has worked on me for fifteen years or so and always does good work. Last massage I had was just a week ago and I still feel relaxed" Gary C.